Cabin fever was a success! 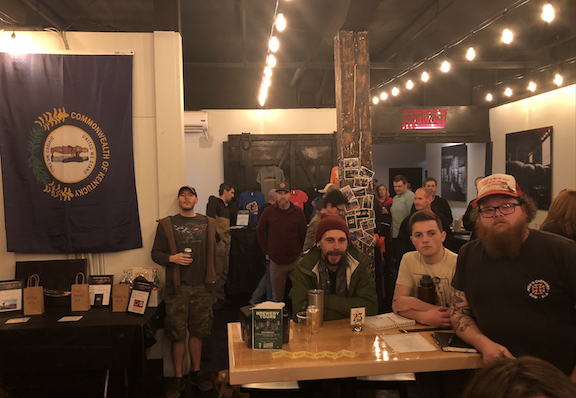 Cabin Fever fundraiser: thank you for your support! 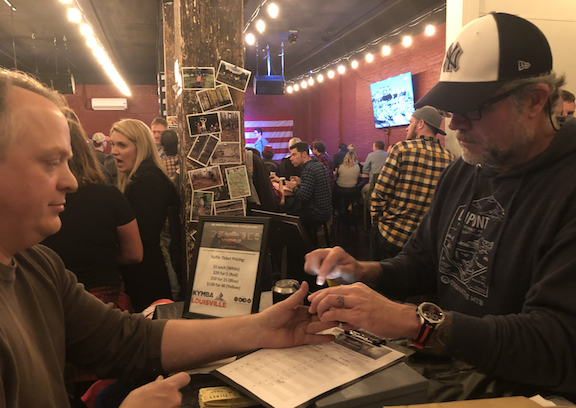 We wanted to take this time to reach out and say thank you for your support of our 3rd Annual Cabin Fever Reliever event that was held on February 23rd, 2019. This year, thanks to you and other local businesses we raised over $8000 to help maintain trails in Waverly Park. These funds will be used specifically at Waverly Park and are already being put to use. We placed 7 tons of rock in the trail to fix problematic wet areas already! It means so much to have businesses and individuals in our community help to make this project happen! Comments Off on Cabin fever was a success! Win a dirt jumper frame from Kona bikes and support trail building! 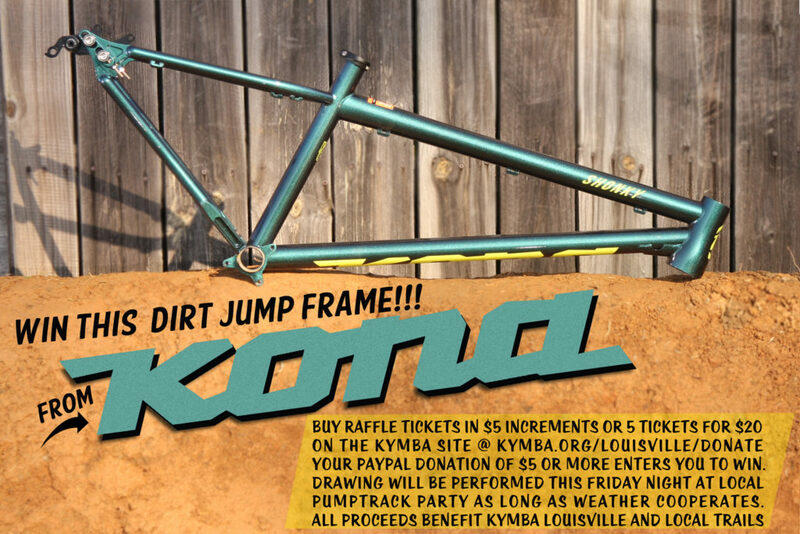 Check out this awesome dirt jumper frame donated by Kona bikes to raise funds for KyMBA Louisville! your paypal donation of $5 or more enters you to win. pumptrack party as long as weather cooperates. Drawing will happen at another time if rained out. All proceeds benefit KyMBA Louisville. 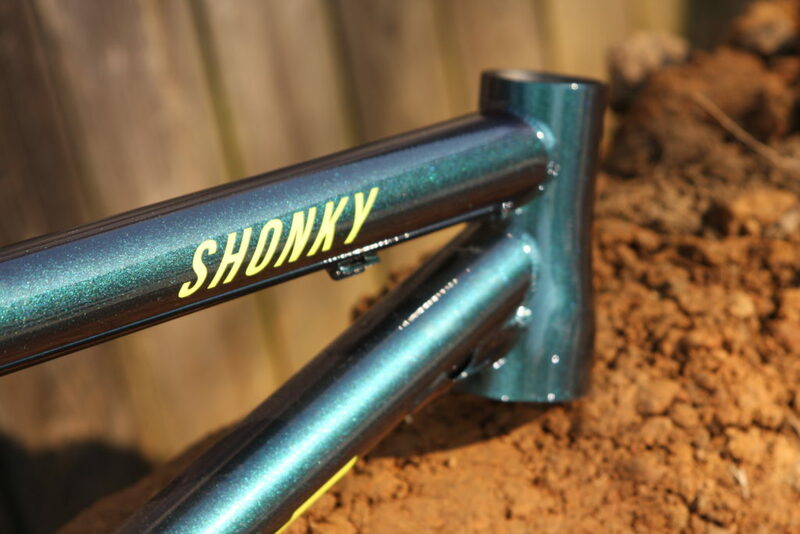 Comments Off on Win a dirt jumper frame from Kona bikes and support trail building! Did you know there are several ways to donate to KYMBA? 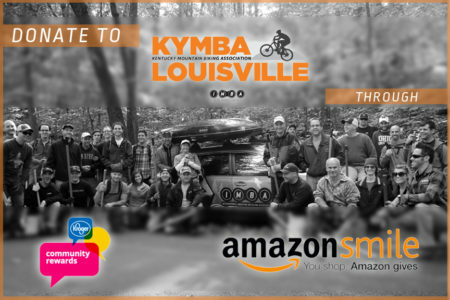 While most people know that you can have the option to donate through KYMBA.org for the membership option you choose, did you know that KYMBA is also a participant in Amazon Smile and Kroger Community Rewards? See the information below. Amazon Smile is a website operated by Amazon with the same products, prices and shopping features as Amazon.com. The difference is that when you shop on AmazonSmile, the AmazonSmile Foundation will donate 0.5% of the purchase price of the eligible products to the charity you choose. Just visit Smile.amazon.com and log in with your regular amazon info. You will be able to select your charity from there, look for us at International Mountain Bicycling Association, Louisville. Kroger will give a portion of your purchase to KYMBA when you enroll in their Community Rewards program. All you have to do is log in to your Kroger account, select savings and rewards, community rewards. Once there select I’m a customer and follow the prompts to enroll. 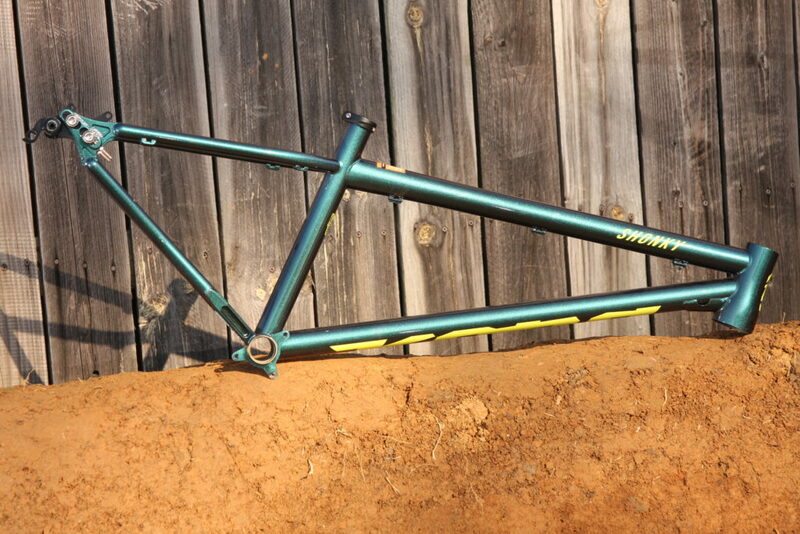 The organization number is IW363, KY MBA (KY Mountain Bike Asso). Each time you swipe your Kroger Plus Card, a bit will help to build and maintain trails. It’s that easy! Here’s a rundown of the items that we will have set up for the raffle/ silent auction at the cabin fever reliever. You will be able to purchase raffle tickets day of, good luck! 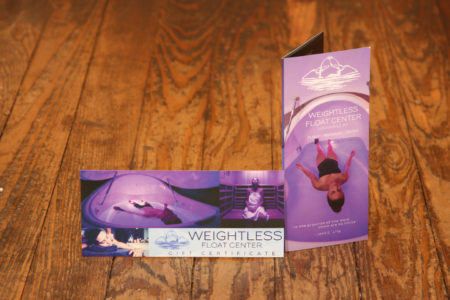 Our first item comes from Weightless Float Center where you can relax after those hard rides. Floating eases chronic pains, increases blood circulation, helps to draw out toxins and lactic acid build-up, and speeding up recovery time. 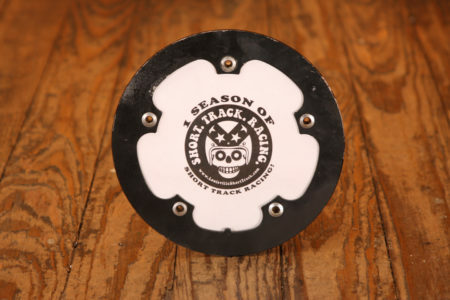 Here’s something most people attending the event could use, walk away with season of short track racing! You will get to compete in all five races come this spring at one of the funnest race series around! 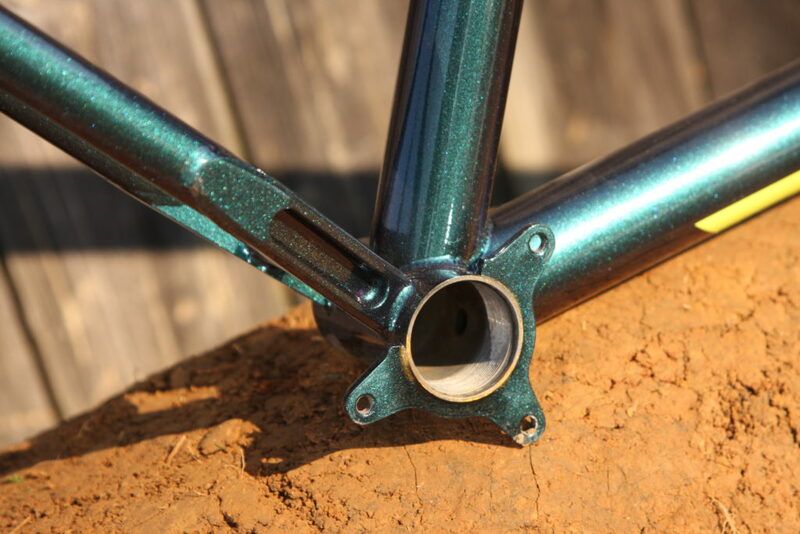 Parkside Bikes have donated these sweet carbon fiber Crank Brothers bars for our Waverly fundraiser! Take these home along with some tire sealant to tune up your ride for Spring! Orangetheory fitness have donated the perfect package to get you back into riding shape come spring… 10 visits to one of their three locations, heart rate monitor, and some items to keep you going can all be yours this Saturday at the Cabin Fever fundraiser! Orangetheory Fitness combines three aspects into one workout: science, coaching, and technology. One can’t work without the other: this trifecta is essential for our workout, and essential for you. 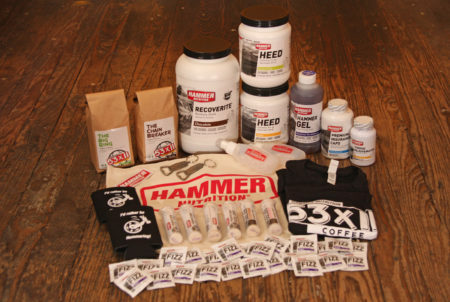 Hammer Nutrition have compiled the ultimate collection of items to make your rides better. This package contains everything you need to fuel your rides and recover for the next one while being even stronger! 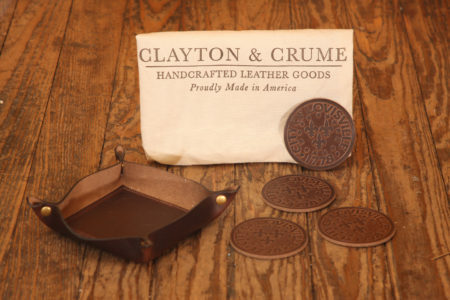 Clayton and Crume are makers of the highest quality leather goods, accessories, bags, wallets and more. 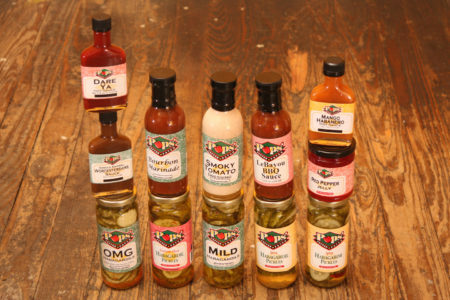 Proudly produced in Kentucky and can be your come this Saturday! Being in shape can definitely help with your riding. 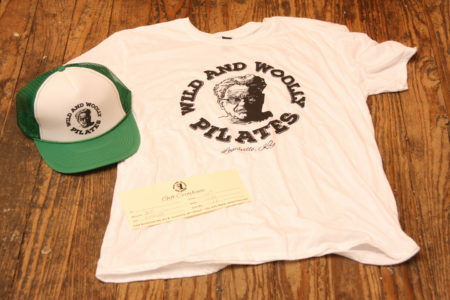 Wild and Woolly Pilates can help you get a leaner and more flexible body through their classes with this gift certificate. This Pilates studio located on Bardstown Road near Douglass Loop offers a variety of classes to help you build strength and flexibility, for on and off the bike! Head over to their site for more info! Middletown cycling have given a Giant bicycle to go towards our fundraiser for Waverly! Closely related to Giant off-road bikes, ATX features the familiar flat-handlebar and 100mm suspension fork of a traditional XC mountain bike. A lightweight ALUXX aluminum frame, engineered with comfortable geometry for challenging terrain, adds to its rugged personality. 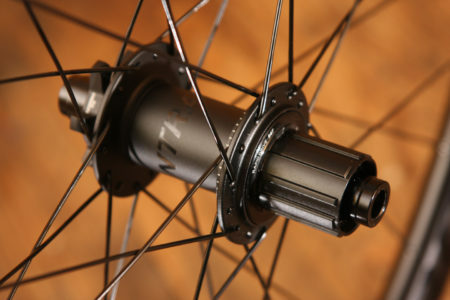 It also uses size-specific wheel diameters—smaller size bikes use 26-inch wheels, while larger sizes use 27.5. This tailors the bike’s handling to every rider’s size and height. Powerful disc brake technology gives you confident handling in all weather or riding conditions, and integrated mounts let you easily add racks or fenders to suit your riding adventures. Eddie Cox at Farm Bureau Insurance have gifted this Pure Cycles fixed gear bicycle to our cause of raising money for Waverly trail work efforts! 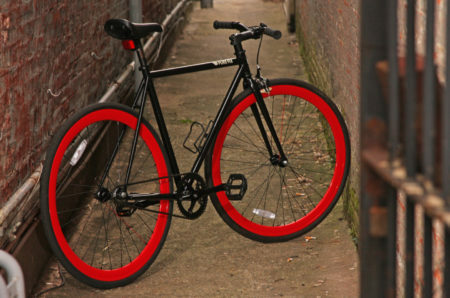 Speed, style, and simplicity make these bikes the perfect storm of awesome whether you’re starting out, getting back into biking after a few years away, or just want to get a feel for riding fixed! 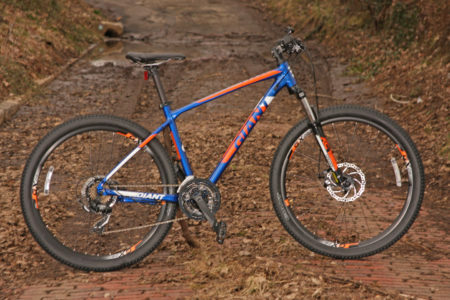 Scott Bicycles have donated the perfect bike for the person new to mountain biking! 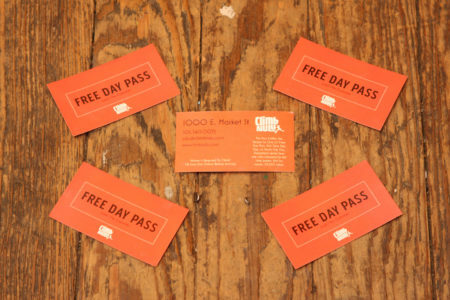 This can be won this Saturday at Goodwood Brewing! 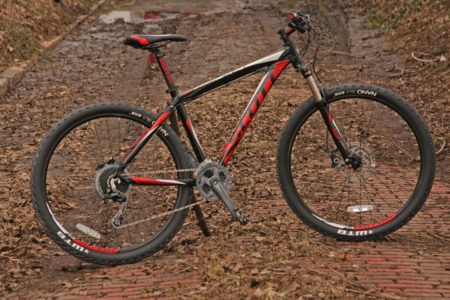 Experience riding in a whole new way aboard Scott’s Aspect 730. Scott’s light, strong, double-butted aluminum frame rides confidently wherever you roam, and the 100mm-travel Suntour suspension fork tames rocks and roots for added control. Plus, you’ll love the playful, yet efficient 27.5-inch wheels for smooth, quick riding everywhere. With quality components like the 27-speed Shimano drivetrain and powerful Shimano hydraulic-disc brakes, your bound for a whole new experience. Have you ever had your hands ache so bad on a ride that you had to stop? This will be a distant memory once you start using Revgrips! These grips can absorb shock by not actually contacting your handlebar, which will cause you less hand and arm fatigue, as well as less lower back pain. These grips were a game changer for Derek at State Farm, so much so that he thought he would donate a pair for a lucky winner! 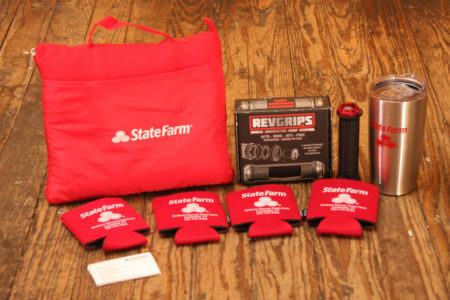 You also will get some State Farm swag to sweeten the deal. 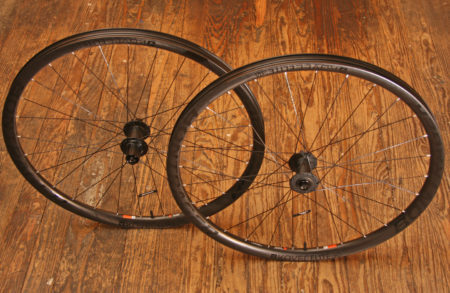 Scheller’s Fitness and Cycling in Clarksville has donated this Bontrager Kovee Elite 30 TLR Boost 29 wheelset. 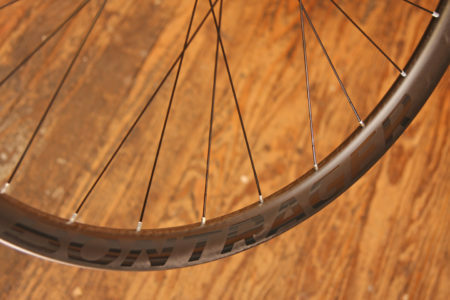 These wheels are designed with the XC and trail rider in mind. 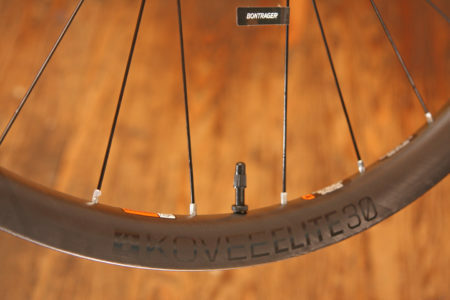 These Boost-width wheels feature OCLV carbon rims with a 28mm inner width, so you can shave some weight, but while adding stiffness to your ride! 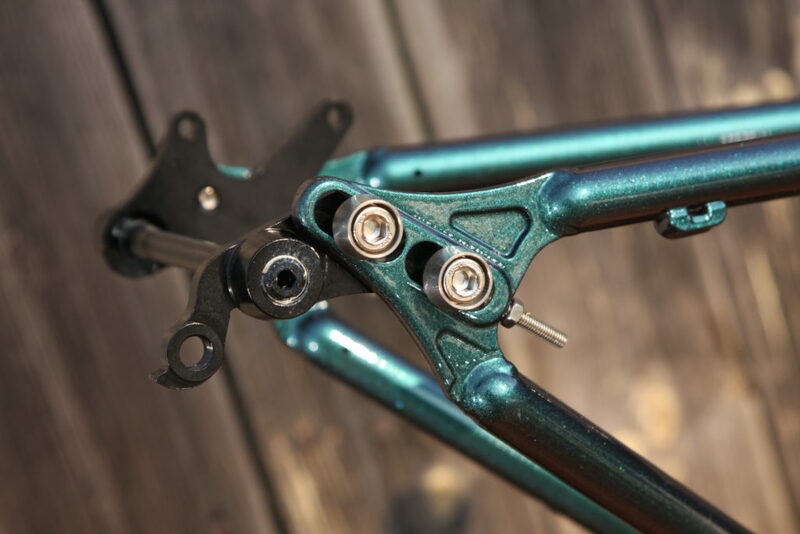 These come with a 2 year, anything happens replacement warranty and if you need an XD Driver for your SRAM cassette, Taylor at Scheller’s can help with that! Thank you Scheller’s Fitness and Cycling! 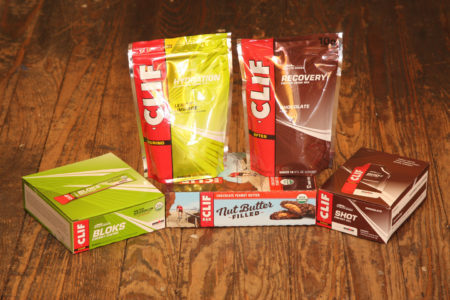 Check out this assortment of ride essentials from Clif Bar. Born on a Bike. Kitchen Crafted. Family and Employee Owned. 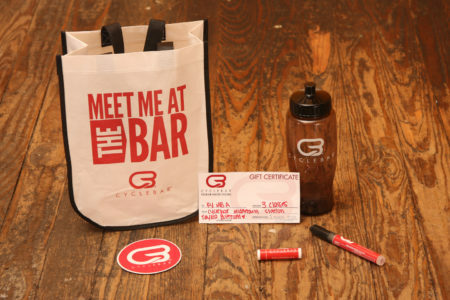 These goodies will keep you riding well through the Spring! Take them home with you this Saturday! 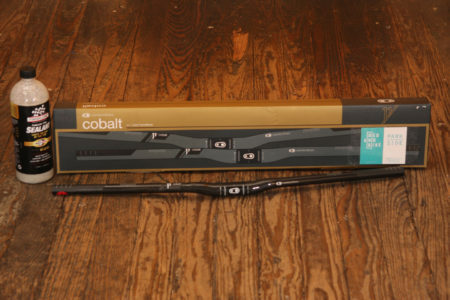 On Your Left Cycles have thrown together some of their favorite/ most popular items for the mountain bikes. 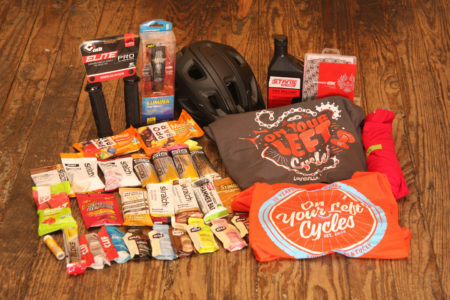 This package is fully loaded with a Niteride Lumina 12oo lumen handlebar/helmet light, Scott mips helmet, 12 speed SRAM chain, Stan’s tire sealant, ODI grips, three tees, and some of the best nutrition around! Good luck and good raffle-ing! 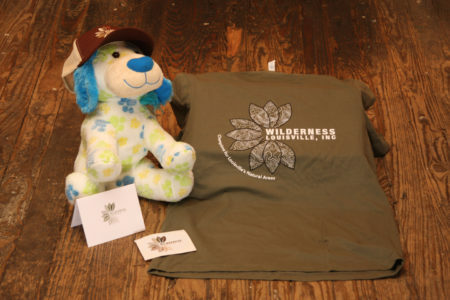 Wilderness Louisville was very excited to hear about future work at Waverly, so much so they threw together this package including a membership, t-shirt, and incredibly cuddly dog rocking a cool cap. 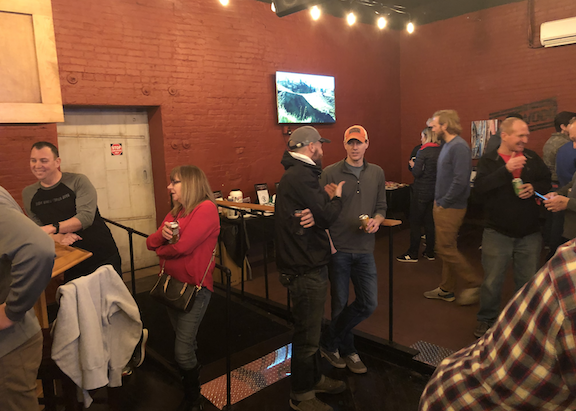 The primary focus of Wilderness Louisville is to raise funds and advocate for improvements at Jefferson Memorial Forest and within other natural areas managed by the Natural Areas Division of Louisville Metro Parks & Recreation. Our work is in alignment with the 2009 Louisville Metro Parks forest master plan, which provides a detailed vision for future land acquisitions, public facilities and nature/adventure programs at Jefferson Memorial Forest. 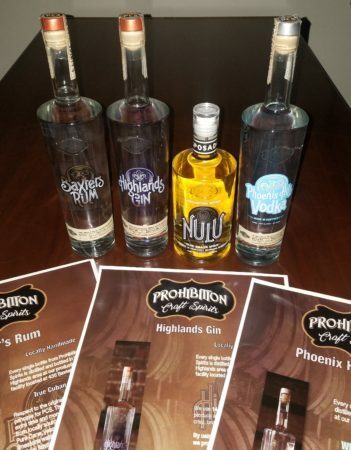 Want to have some unique items for your liquor cabinet? 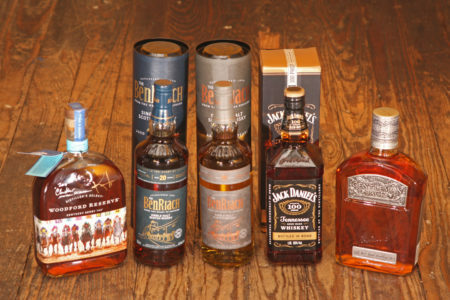 Take a look at this incredible collection of Woodford bourbon, BenRiach scotch and Jack Daniels whiskey. The Kentucky Derby Woodford is signed by not only the artist, but the master distiller! How cool right? 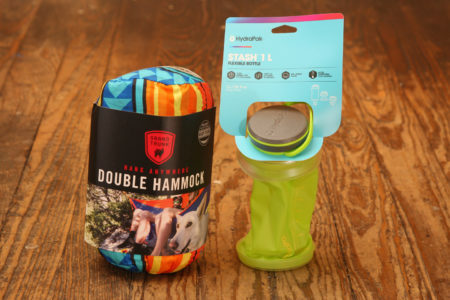 The other items are sure to go down well with friends after those epic rides! 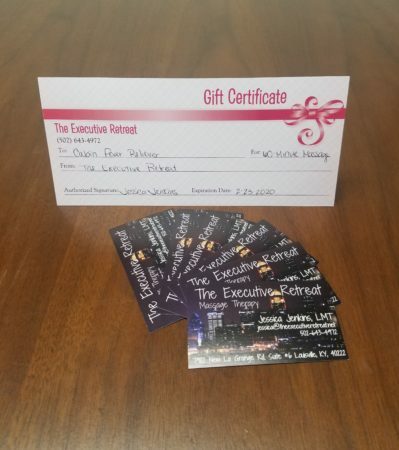 We will be posting the silent auction/raffle items for the upcoming event in the coming days. Our first items come from the lens of local rider/trail builder Richard Marheine. 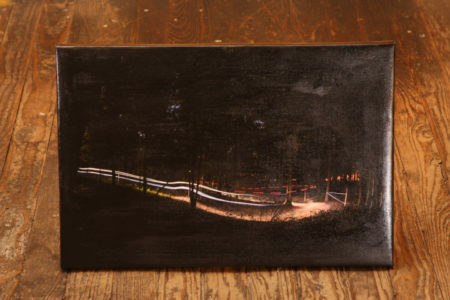 Pick up a print of the firetower trail at O’ Bannon or riders charging through the dark. 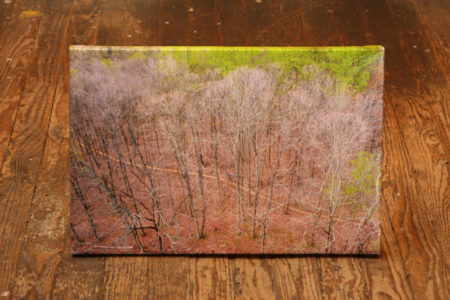 Visit Rich’s site for more of his incredible work! 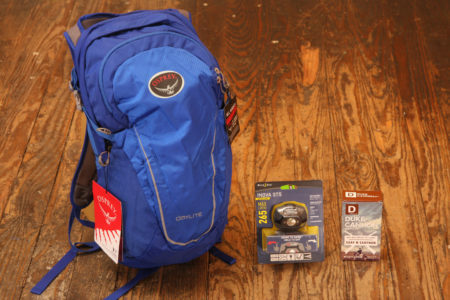 Quest outdoors have donated this Osprey pack can hold that change of clothes plus this nifty headlamp to light your way! Add in this awesome smelling Duke Cannon soap and you have a solid weekend on your hands! Thanks Quest for making those trips a little nicer! 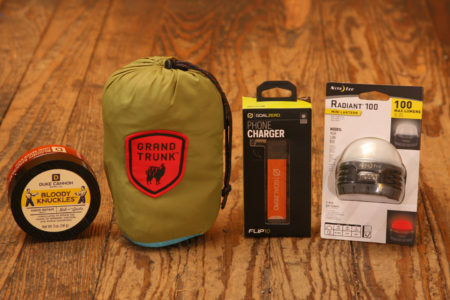 Who doesn’t need a good bag for those overnight bike trips? 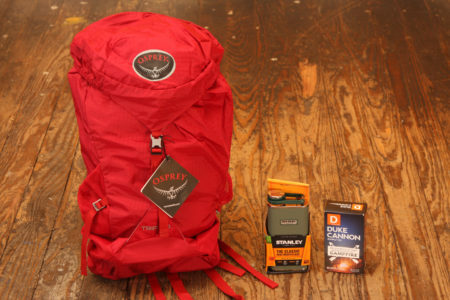 This Osprey pack can hold that change of clothes plus this sweet Stanley Flask for those after ride libations! Add in this awesome smelling Duke Cannon soap and you have a solid weekend on your hands! Thanks Quest for making those trips a little nicer! 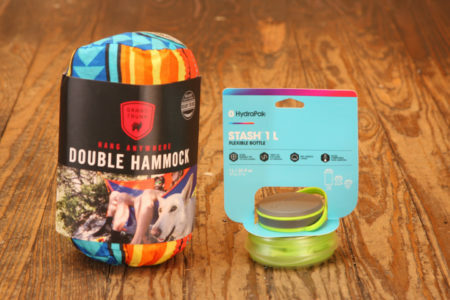 Our friends over at Quest will get you summer ready with this Grand Trunk Double Hammock and flexible stash bottle! This bottle compacts so you can save space when it’s empty, how cool is that? 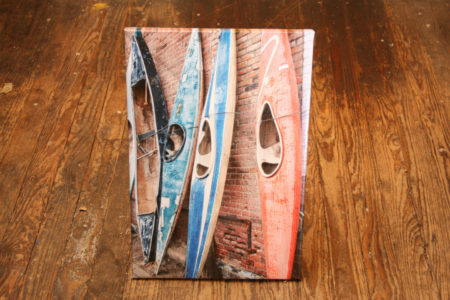 Thank you Quest for getting us dreaming of those warm summer days! The flannel shirt, a staple in the mountain bike world. 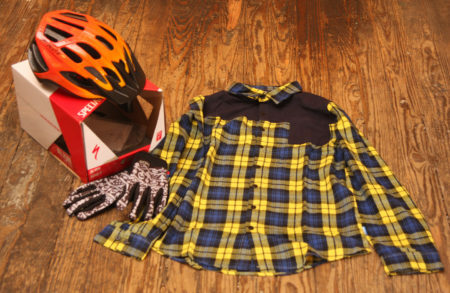 Goose Creek Cycle wants to keep you looking good out on the trails with new gloves, this sweet flannel and a new helmet! Thank you to the crew over at Goose Creek! 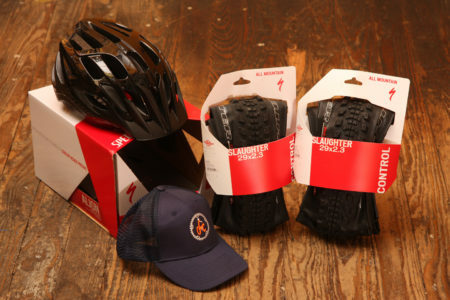 Goose Creek Cycle has you covered for some grip on the trails with these Specialized Slaughter Tires! Also in this group you will receive a new helmet and a hat to tame that after ride helmet hair! Thanks again Goose Creek! Drunkwood hand makes one of kind art pieces out of bourbon barrels and barn wood right here in Louisville’s Germantown Neighborhood. 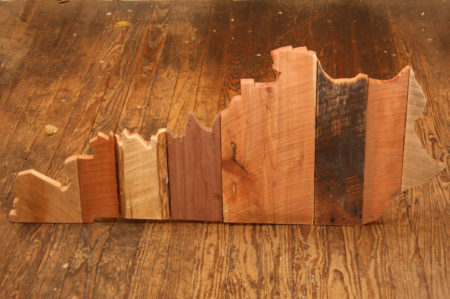 Come out to the Cabin Fever Reliever to take this beautiful mixed wood State of Kentucky home for your wall! We have had more than enough rain around here lately, which makes riding days hard to come by. 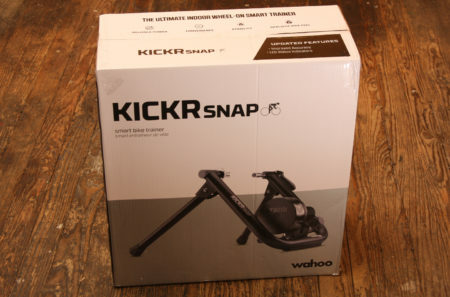 If you feel your legs need to spin a little during the monsoon season, why not try this Wahoo Kicker Snap Trainer. 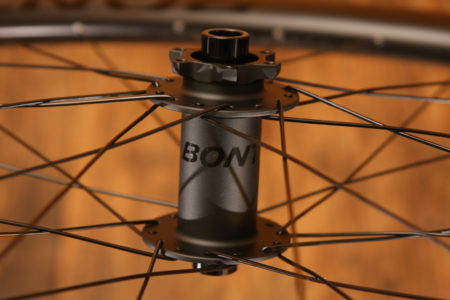 With convenient wheel-on design you can turn your bike into a trainer in no time. Featuring both ANT + and Bluetooth 4.0, you can connect the trainer to smartphones and GPS devices. This trainer also offers the use of an app on your phone, tablet or computer to control resistance and give you reliable power measurements. This trainer can also work with popular training software! Thank you to Clarksville Schwinn! 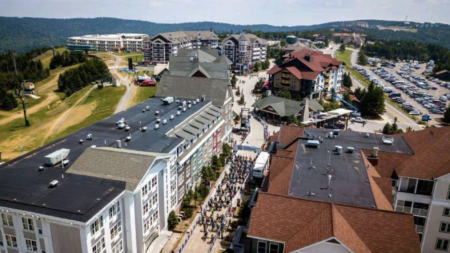 Two bedroom condo located in the village at the top of the mountain with convenient location close to the lifts, trails and activities. 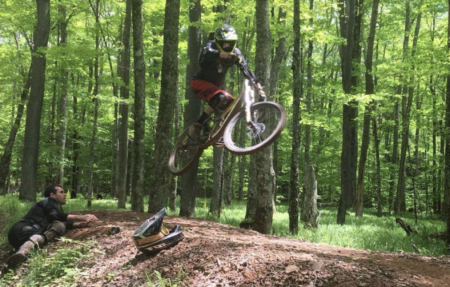 Enjoy the lift access bike park or ride out on your own on the many trails XC/Enduro trails around the mountain. 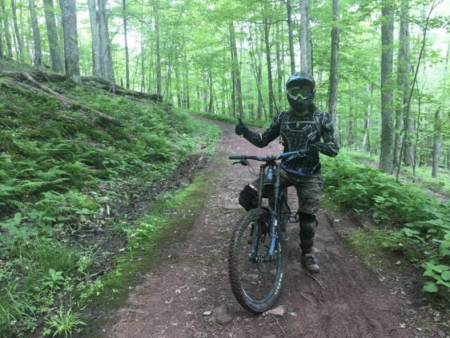 The trails there are extensive the riding is great and the views are incredible! 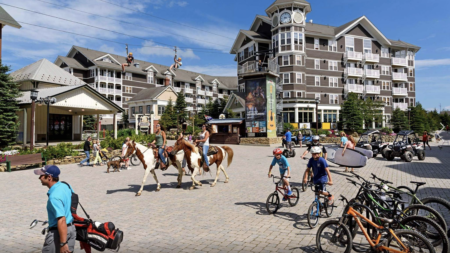 Snowshoe Mountain is a complete vacation destination in the summer, in addition to the bike park there is horseback riding, Razor tours, golf, a beach for the family at the lake, a spa, and much more. 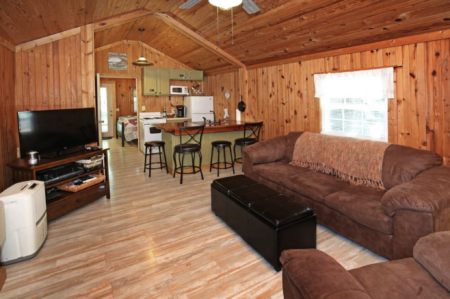 The condo is a two bedroom with a sleeper sofa in the main room and a kitchen. It’s a great place to get away with a group of buddies or take the family for some summer fun. Dates subject to availability. This package courtesy of St Matthews Cycling. Looking for a quiet weekend getaway or maybe a mid-week retreat? Look no further! 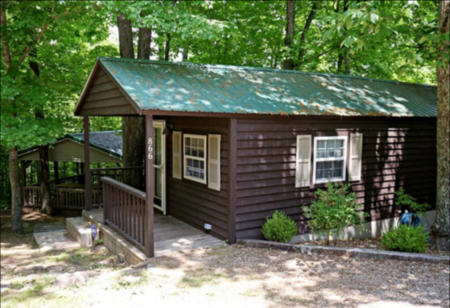 This brand new, adorable cabin is the perfect place for your group! 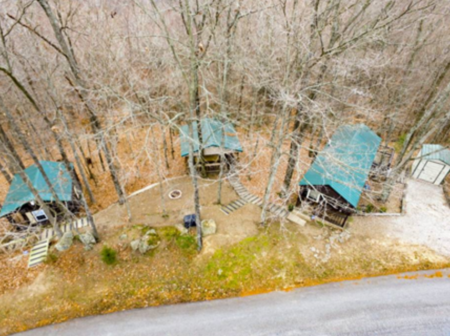 The property sleeps eight, with not just one cabin but 3 separate structures. The first structure is the main house with a full bed, pull out sofa, kitchen and bathroom. The second is a pavilion for relaxing, meals, or taking in the outdoors. The third is the bunk house with 2 full beds and 1 twin. What is an outdoor weekend without a fire pit you say? No worries, we have you covered there, so get your S’mores ready! 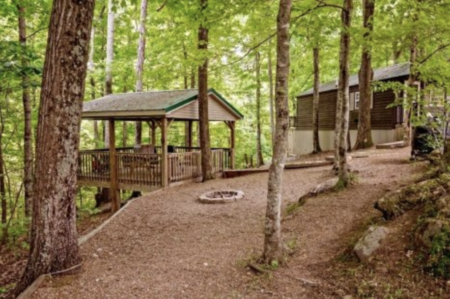 This property is very private and a great place to unwind close to Briar Creek at Nolin State Park, Big Hollow at Mammoth Cave National Park, and the Moutardier Marina. Get ready to enjoy hiking, biking, caving, swimming and so many other outdoor activities around the area. This offer does exclude Memorial Day Weekend, July 1-7 and Labor Day Weekend. May the best person win! A big thank you to Drew and Samantha Perkins! It’s a tough time of year to try and ride your bike! 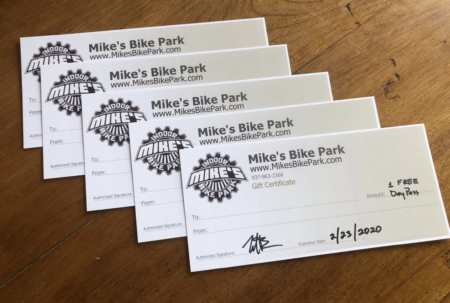 With freeze thaw or rainy conditions we often find out ourselves off the bike until spring but we thought these one day passes to Mike’s Bike Park may help to get you out of the funk! 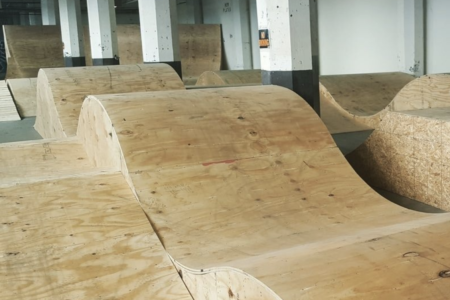 Mike’s is Dayton’s only indoor bike park, they are open all year round and are for all ages. Offering something for every type of rider and a friendly staff, Mike’s is sure to be a good time! 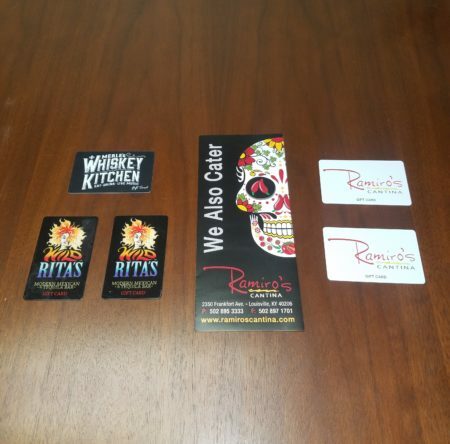 Thanks Mike’s and check them out online for more info! 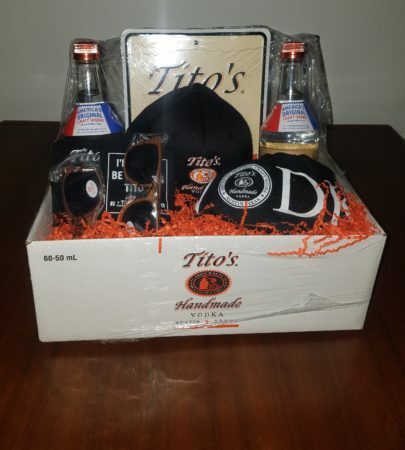 Republic National Distribution Company…Tito’s gift basket! 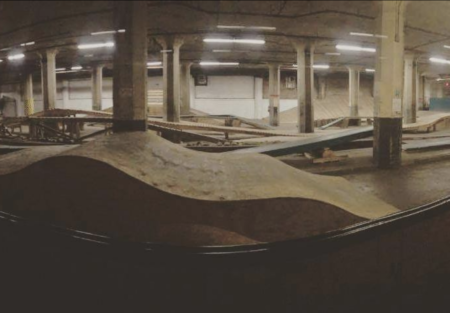 Here’s some older clips from the clinic loop at Waverly. We are raising funds at this years Cabin Fever Reliever to tune up some of it along with adding more features! Come out February 23rd to show your support for the wave!